Find all about Harriot and Howard’s Ludlow Castle wedding in Shropshire! Weddings are always about people but it can help to get married in a great location and venue. Ludlow Castle certainly fits that profile. Steeped in history, with amazing grounds, it’s a fantastic place to get married! I’m really excited to announce that you can now view and purchase the wedding photos online! There is a 20% discount on prints and products until 23rd October, so hurry! You will need a password to view the wedding photos, so if you don’t know the password please contact Harriot and Howard or myself at stevecatcheside@ketch-22.co.uk. To view the wedding photos simply click through to Harriot and Howard’s wedding. 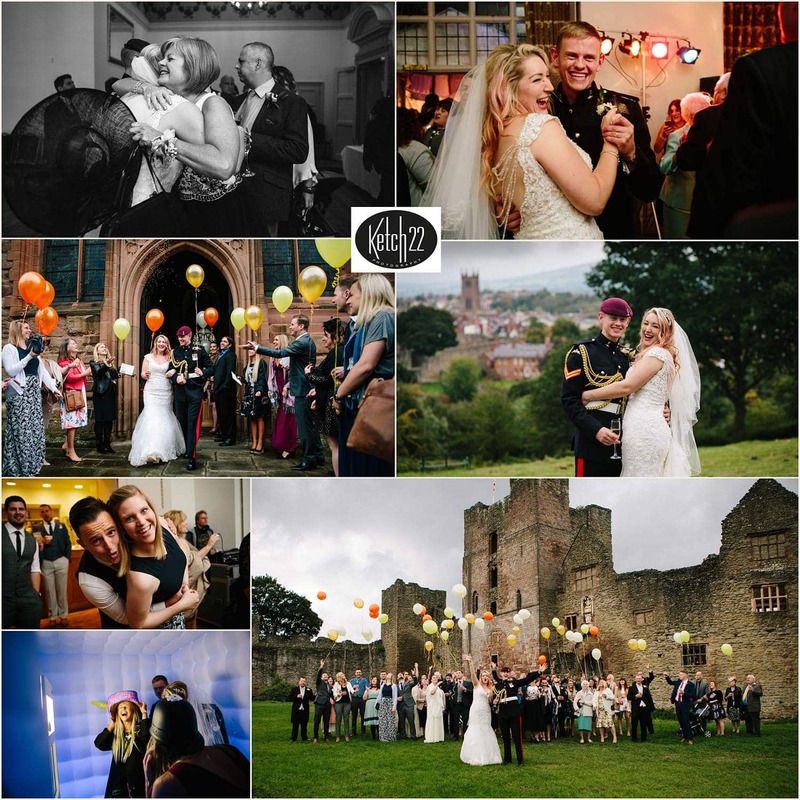 If you are looking to get married at Ludlow Castle in Shropshire or indeed any other wedding venue and you like my style of wedding photography, then please don’t hesitate to contact me now. You find more samples of my work on my website at wedding portfolio. You can also find out more about me on my about page.